Stress Management: How Acupuncture Can Help | Lok Acupuncture Clinic, Ltd.
Life is a busy place to be. Today’s world can fill the very busy individual with a lot of stress. Without some way of removing this stress from your system, you’re placing yourself in danger from a lot of stress-related issues. You might suffer from insomnia, headaches or very even more serious conditions like heart disease. You could take anti-stress pills to help you relax but, like many, you might be worried about the many side effects these pills could have. The good news is that you have other options. Acupuncture is great natural option for stress management. In traditional Chinese medicine, much of the treatments depend on an understanding of the balance in our bodies and its internal organs. The sicknesses we sometimes develop are seen to be caused by imbalances in our lifestyles and environment. Stress is also affected by this imbalance. That is why when there is something wrong with your body, you’d typically have less of an ability to deal with stress. 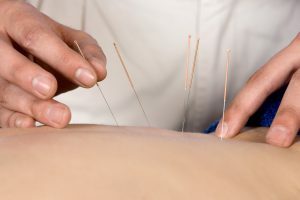 By sticking very thin needles past the surface of our skin, the acupuncturist stimulates nerves in the body. These nerves send signals to our brain and it is believed that the brain then releases its natural painkillers into our system. This immediately causes a feeling of relaxation for many. The needles could also help your body by stimulating its circulation. With the circulation between the organs of the body improved, a lot of the body’s waste can be cleansed properly. Your organs also receive the full benefit of the oxygen from your lungs making its way into the cells of your body without any blockages. What most are surprised to discover is the thinness of the needles, you will hardly feel anything. Acupuncture is a practice that helps you use your body’s’ own ability to manage stress properly. Leaving you healthier, and more importantly, prevents any of the serious diseases that could come from unbalanced, stressful lifestyles.